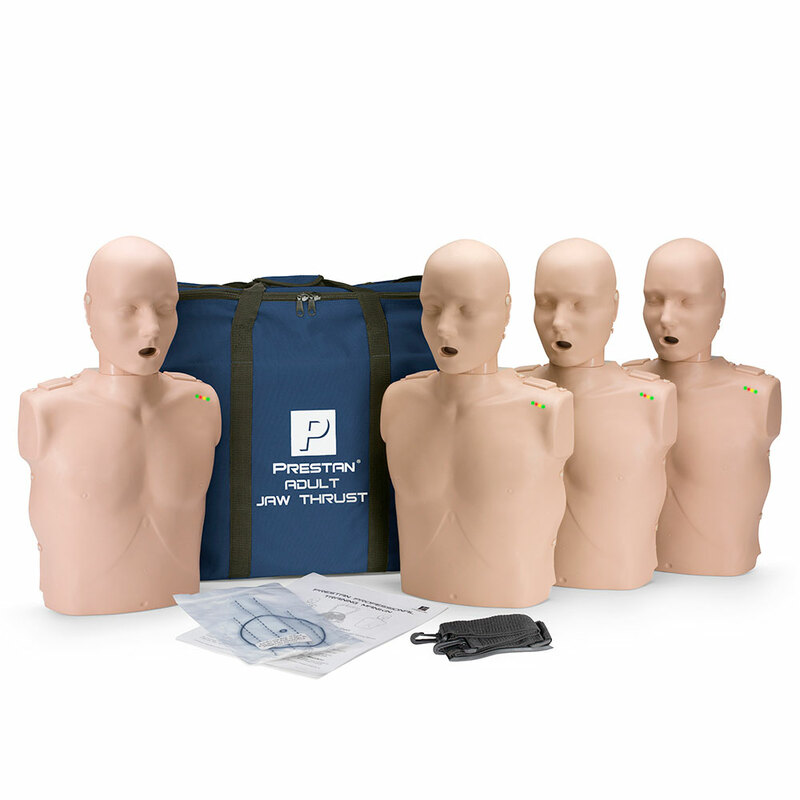 Professional Adult Medium Skin CPR/AED/Jaw Thrust Training Manikin (4-Pack) by Prestan Products. Available with or without CPR Monitor. Includes 50 Face-Shield Lung Bags and Nylon Carrying Case. 3-year manufacturer's warranty. Not made with natural rubber latex. 2 "AA" batteries included with each monitor. Jaw-thrust manikin head enhances the CPR learning experience and teaches students how to open the airway to perform CPR on a victim with a suspected spinal injury.